Can moms really afford to live at home full-time with their children? So many families are trapped by student loan and credit card debt, requiring both parents to work full-time outside the home. I’ve been in those shoes. Today, through a myriad of challenges, and a few key triumphs, I discovered how to afford to be a stay-at-home mom. We’ve covered a wide range of topics centered around finances and SAHMs (listed below). Be sure to check those out if you haven’t. Meanwhile, I put a unique spin on today’s article and have prepared a “SAHM Budget Test” for you. Throughout the last six years, my husband and I experienced a complete turnaround of our money habits, our careers, and the trajectory of our future together. It started with asking questions. “How do we talk about all this? As we answered every question, we discovered something. Every decision you make with your finances is interwoven with your life and that of your family’s. So it was with my journey toward becoming a stay-at-home mom. Rather than recount the details of how my husband and spent three years working our financial plan that enabled me to stay home full-time, I’m going to ask you some of the most important questions we asked ourselves. These questions helped us stay focused on what would work for our family rather than falling back on whatever society or our peers were doing with their money. Dave Ramsey calls it “Living like no one else so that one day you can live, and give, like no one else.” I couldn’t agree more. Do you know exactly what you need to live on each month? 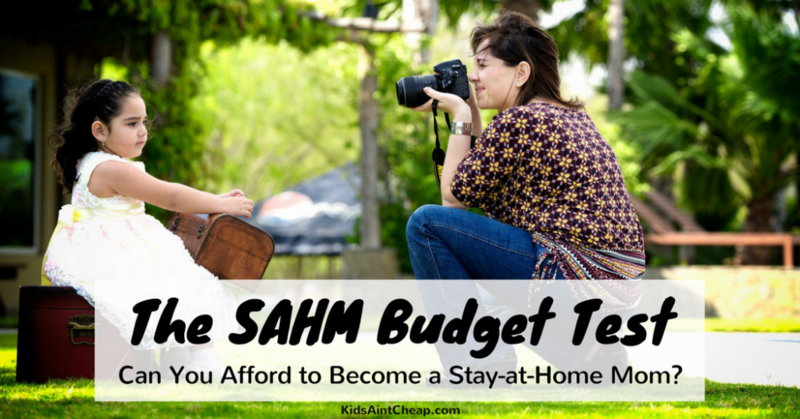 One of the best ways to answer the question “Can I afford to be a SAHM?” is to calculate EXACTLY what your family must live on each month. For example, compile your list of utilities, bills, and essential expenses like food and gas. This list should include what you’ll realistically purchase even if it’s not a need (i.e. money for restaurants or Starbucks), but do your best to trim. We’re just looking for an honest snapshot. Can you practice living on your significant other’s income right now? I don’t recommend anyone quit her job and stay home without practicing a single-income lifestyle for at least 90 days. The reason is my husband and I stunk at first! We needed MUCH more than three months to crack down on our excess spending and to adjust our lifestyle in order to function solely on his income. But the practice was like a life jacket when we swam to the deep end and officially let go of my income. Will you need to bring in a supplemental income from home? 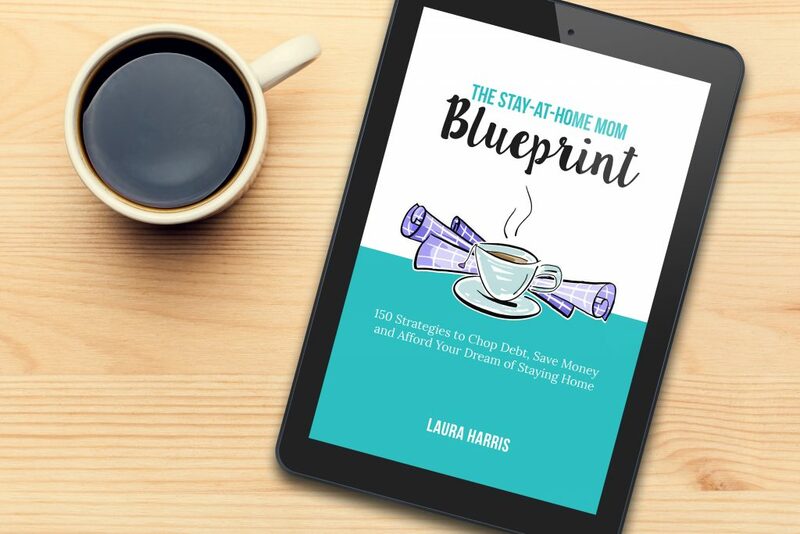 There is a TON of pressure on moms these days to make money from home. And it’s really a shame. Should they do so if they truly feel that calling? Absolutely! But not out of guilt or peer pressure. I work 15 hours a week as a freelance writer and am so passionate about what I do. However, I didn’t earn a dime until well over a year after I turned in my keys at the bank. It takes time to build a profitable business from home, so do NOT factor that as an income source unless you have an established business! Instead, read the next question to consider other ways of utilizing more of your partner’s income. What can you no longer afford on one income? When you practice the single-income budget for a few months, it’ll become more clear what changes will need to happen in your current lifestyle. This dream of staying home may require drastic action. For example, do you need to sell your newer vehicle and buy a 10-year-old Honda? What valuables can you sell for a profit? How about downsizing? Is the size of the mortgage payment preventing you from buying enough groceries on one income? I’m not saying you can’t own a home. Just weigh the opportunity costs. For the first few years of staying home, you may need to make some sacrifices in your lifestyle to achieve your goal. But I can speak from experience when I say the time at home with your kids is a wonderful distraction from the things of which you let go. How’d your answers turn out? Do you have a better feeling about how ready you are to financially stay home? I hope, more than anything, this didn’t discourage you if the answers weren’t to your liking yet. Educating yourself about your own financial snapshot is the first (and bravest) step toward this goal. Remember, it took me three years. If you’re ready to take your next step and access this digital resource, follow this link for more details. Your Turn: Got a tip for how to afford to be a stay-at-home mom? We want to hear it! Don’t forget to check out these additional tips for SAHMs!